Today, running your business on private servers is on the same level of odd behavior as carrying scuba tanks to provide a private air supply. 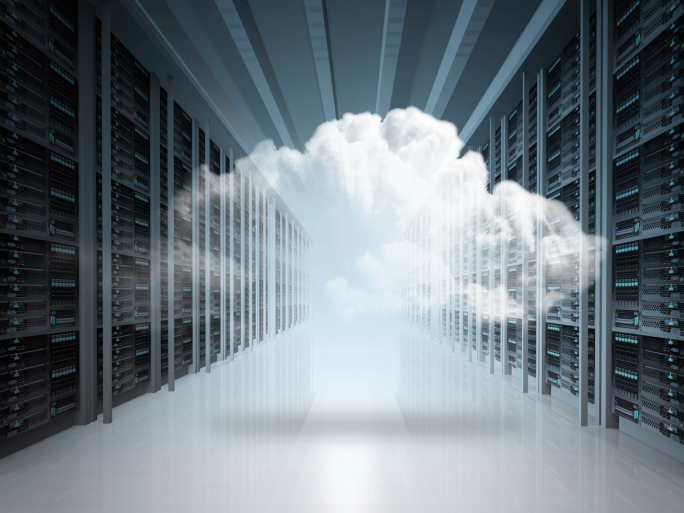 When you own your own servers, collaboration requires you to simulate the sharing that a cloud makes completely straightforward. If something happens on Department X servers in one building, and something related happens on Department Y servers elsewhere, it takes a ziggurat of middleware to make it look as if a shared process is taking place in a shared space. This is more expensive, more failure prone, and can’t possibly be more effective than the real thing: an actual, single, concurrently accessible work product on the shared foundation of a cloud service provider. That could be any of several reputable innovators, but almost certainly will not be someone who’d rather sell you software to run on your own machines……..
We live on a fully connected planet, surrounded by tasks that increasingly demand immediate scalable access to rich processing power–mediated by ubiquitous networks. No new company starts out with a budget line item of “buy servers”; even in the largest enterprises, few today would want to risk joining the hall of shame for managers who build over-budget and under-performing server farms, instead of marshalling modern cloud services to solve the problem. RIP, the server. You were what we needed when there was no alternative. You’re now a relic of a time that’s almost unrecognizable today; you represent a cost that’s unaffordable, and unreasonable, for all future time to come. But good grief, we are so never gonna get Google Glass. 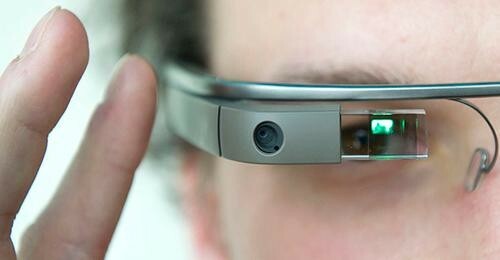 And if you wear Google Glass into a bar, then record us? We might have to have a conversation about that. If you’re unfamiliar with Glass, as it’s called for short, it’s a set of glasses—sometimes prescription, sometimes not—that come with a little visible camera affixed. Glass can read your email, take videos, take photos, Google stuff for you, and in the not-too-distant future, instantly recognize faces at bars and tell you whom you’re talking to. 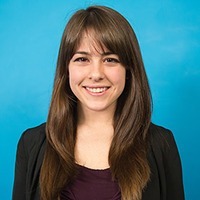 Recently a tech writer named Sarah Slocum wore Glass to a San Francisco bar called Molotov’s and got into a semi-brawl. This is a fine point. Which bars should be Glass country? Let’s catalog, for a moment, what we do at bars: We drink, obviously. We flirt. We make bad decisions. We stay out too late. Think about which of those items you’d like recorded, for posterity, by a stranger. Slocum called the dustup a “hate crime,” which drew pretty much instant mockery, after which she downgraded it to “technophobia” (which sounds rather like a scary strobe-lit ’90s dance night to us). Most recently she’s asked Google for a “sponsored” trip to SXSWi, so she can “educate” people about Glass. Well played, Google. Although Google has denied that it wants facial recognition to be a reality, that’s a real possibility and one company has facial recognition tech in beta mode. But can we be honest? That’s the saddest prospect of all. Because while bars can be places to make deals and break them, make out and break up, one of their primary lures is meeting people, sometimes people in whom one has a romantic interest. And Google Glass marks the end of mystique. They get closer. She records their meeting for posterity and learns, via facial recognition, that his name is Montague Revelry Williams. He works in finance. There’s a photo of him with his ex-wife. There’s a photo of him with his dog. He owns a chihuahua? Really? And he’s drinking a vodka tonic? Who else is at this bar? Google Glass. It could kill dating. It could end mystery. Leave us our blurred-after-three-old-fashioneds vision. Please. Let us think that he has especially good hair, or that she has particularly perfect skin. Everyone looks good in this bar. And that’s where magic happens. Let’s keep bars Glass-free… except for the glasses that come withwhiskey in them. Climate change knows no boundaries. It’s coming for our landmarks, ruining our burritos and — if you’re as reckless with your air conditioner as me — increasing your monthly electricity bill. 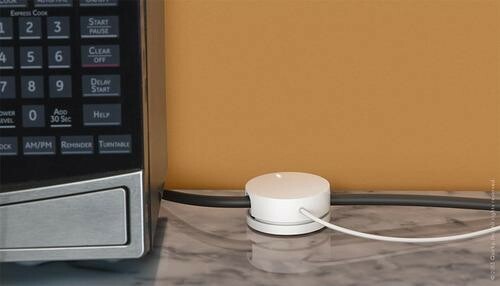 But an entrepreneur on the invention site Quirky has introduced a seemingly simple way to better monitor your electronics’ energy use. The circular clip, dubbed Reter, attaches to the external cord of any device. 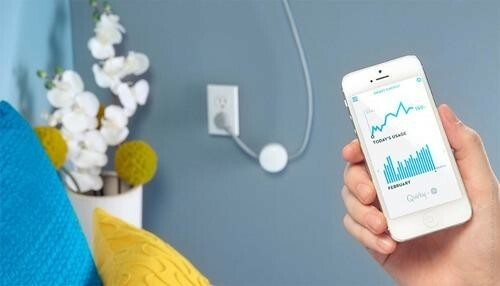 It then measures that device’s energy usage throughout the day, reporting its findings to an accompanying iOS app called Wink, via your home’s WiFi connection. It can work with any multicore cable-endowed devices or hardwired items (read: air conditioners, space heaters and dehumidifiers). You can opt for either battery-powered or AC-powered options. Though my colleague Dan Tynan recently noted that Quirky’s Internet-based creations often look cool but do … nothing, this little gadget appears to be a practical way to cut down on, or at least make you more mindful of, your increasingly moody energy bill. It could also help you settle a dispute with a roommate who might be a little too attached to her space heater. Or reduce your carbon footprint. You know, because the world’s forests are pretty much disintegrating in front of us. The device is now in its pricing phase, so you can go ahead and tell Quirky how much you’d fork over for it. I’m thinking, like, $12 a pop? Any more and I’d rather just use that extra cash to crank up the AC. Hopefully they’ll have this little guy ready in time for what’s sure to be a sweltering summer. The first person to twist apart an Oreo, or sit backwards in a chair, or pretend a tennis racket was a guitar — visionaries who recognized that everyday objects used by the masses have higher callings. I’ve joined them by turning my widescreen monitor vertically. To be clear, I did not invent this idea. 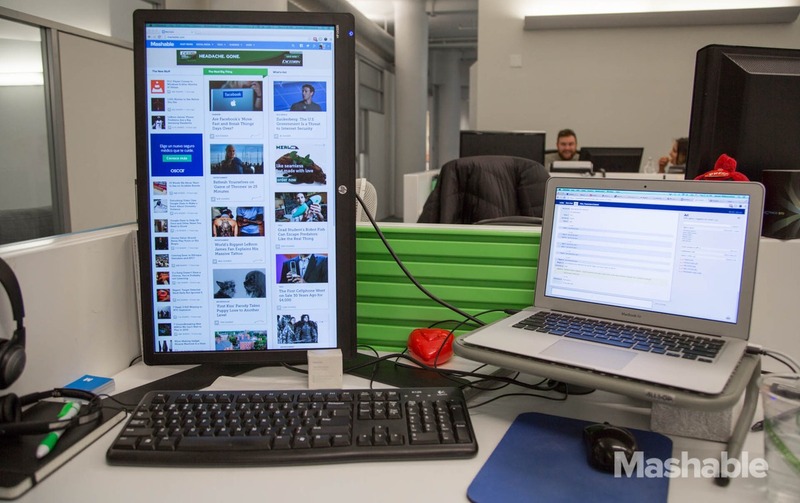 People have been rotating monitors 90 degrees since the widescreen was invented. I have just joined them as an acolyte of the modern Internet. We’re a left-to-right kind of culture, in general. Cavemen painted left to right and Medieval artists wove tapestries left to right. But at some point, the Internet began to grow vertically — into the feed mentality that dominates almost every website. If you have a scroll wheel on your mouse, it goes up and down. There’s a reason for that. It’s only been a couple days, but I’m positive I won’t be going back. My work monitor is an HP LV2311 that measures 13.25 inches by 22 inches. Almost every site looks better; only a handful experience any problems fitting to the width of the screen. 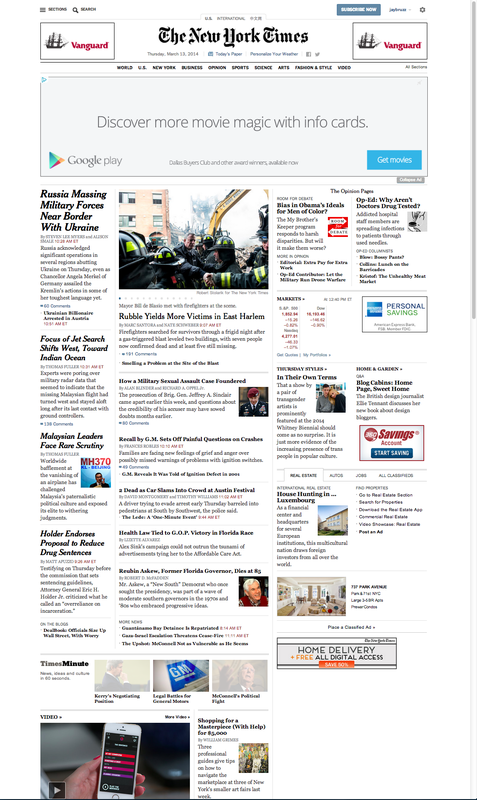 For comparison’s sake, here’s how the New York Times website looks on my monitor in both vertical and horizontal modes. Look at that whitespace. Look how much the vertical perspective gives me. It actually looksmore like a newspaper. But it’s not just surfing the web. Writing: I like to be able to see as much of the page as possible while writing. It lets me look back quickly and see everything I’ve written, leaves space for notes at the bottom and generally gives me a better feel for the piece. Workflow: I find it much easier to check out multiple windows when I can stack them, as opposed to placing them side by side. The narrowness forces me to open fewer tabs, which is a horrible habit that generally destroys my ability to accomplish tasks in a timely manner. Social: I’m a relatively new Mashable hire, but just about the entire office has stopped by my desk to talk about the screen. I’m now “cool vertical screen guy.” Everybody come look at how interesting I am and how brilliantly counterintuitive my ideas are! It’s not all gravy. The top of my screen is a bit too high for my desk, and the bottom quarter of the screen does not seem to get much use. My relatively seamless transition between desk monitor and laptop screen is a little buggy. And still, there are plenty of actions made for wider screens. Video clearly makes no sense on a vertical monitor, which is why I would never do this at home. (I don’t do any video editing or graphic work, which I can only imagine would be harder on a vertical screen.) It’s not ideal for gaming, unless you’re playing Tetris or Dig Dug. These are aspects that take advantage of width, employ little to no scrolling and have programs designed for widescreen interfaces. I also have the luxury of a dedicated monitor that runs off my laptop, giving me a (smaller) widescreen when I need it. If I were operating only on the desktop monitor, it would be a tough call. Right now, I’d still lean vertical. The demands of my job — and I think many others — along with the evolution of the web dictate that more people give this adjustment a shot. Don’t like it? You can always swivel your screen back to the dark ages. If you’re interested, here are a couple pointers on how to turn vertical. You need a flat panel screen (sorry CRT devotees) and a stand that will allow you to turn the screen. If you need to buy one (like I did), try the Mount-It! I’m using. Once you have your monitor oriented, you can switch the image on the screen in the computer’s settings (some people may want to do this step before swiveling). It is usually called “portrait” on PC or “rotation” on Macs. Deloitte predicts over 90% of Fortune 500 companies will have partially or fully implemented an enterprise social network by the end of 2013. 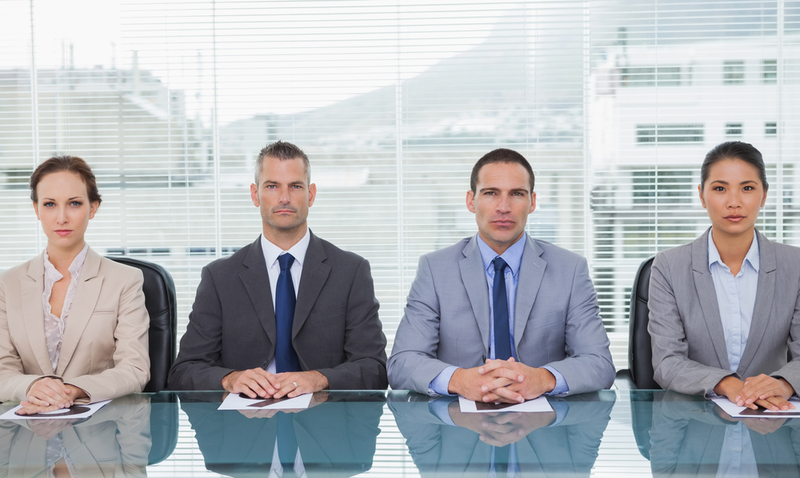 An ESN is an internal workplace that streamlines communication among co-workers. They give employees a sense of online community and help forge connections between departments, especially within larger corporations. We’ve highlighted a selection of social networks aimed at businesses. Does your company use an ESN? Does that network make communication more effective? Let us know your thoughts in the comments section below and your response could be featured in next week’stop comments. Working online means we often have files we want to share with teammates or clients. While emailing attachments is still a popular choice to send files, it has restrictions on file size. It’s also not conducive to collaboration, as it doesn’t allow for multiple people to work on the same file at once.Instead of overflowing email inboxes with attachments, we can make use of a variety of file-sharing tools, all cloud-based, with many including storage facilities to track your transfers. These tools also save you from the setup, cost and maintenance of running your own home server (VPN), and make it easy to upload files to share with friends or colleagues, access remotely (on any device), or store for later. We’ve identified 22 of the top file-sharing tools to save you from inbox overload, and allow you to securely store, share and manage your files and documents. We’ve seen interactive rings that receive alerts from your smartphone and even rings that will give you the current time in a unique way, but a new ring leapfrogs the rest by acting as a full-on control mechanism. On its exterior, Logbar’s Ring device looks like nothing more than a silver ring, but packed inside the device are electronics that allow it to recognize your finger gestures and control any number of devices. Logbar CEO Takuro Yoshida gave a detailed demonstration of the silver interactive device last year in San Francisco, and now Ring is available for purchase through a Kickstarter campaign. By recognizing finger gestures, Ring allows the wearer to write text messages by simply drawing in the air. The same dynamic allows the wearer to access apps by drawing designated shapes in the air. For example, drawing a music note could access your music player, while drawing an envelope shape would allow you to access your email. More advanced functions depicted in the company’s Kickstarter video (see above) include using the Bluetooth device for mobile payments via GPS or iBeacon, and as a controller for televisions and lights in smart homes. The company also says that it has tested Ring with devices spanning a wide spectrum of currently available, bleeding-edge hardware, including the Pebble watch, quadcopter drones and even Google Glass. Ring’s associated app also allows you to program original shape gesture commands. This option could be particularly useful for disabled or visually impaired users with somewhat unconventional finger gesture patterns. To activate the device, you simply press the side button on the Ring, and to receive alerts you can either receive a vibration or view the discreet little LED pinpoints near the button port. According to the device’s developers, Ring can perform up to 1,000 gestures before its battery needs to be recharged. The only obvious shortcoming of the device at this point is that fact that it’s not waterproof. That could turn into a problem for those attempting to use Ring in mobile environments during bad weather, or even inside the home, say, if you forget you have Ring on when you go to wash your hands. Also, Ring’s rechargeable battery is not replaceable. Once it stops charging, the fun is over, and you’ll have to pony up for a brand new Ring. That might not be as bad as it sounds. The cheapest early bird version of the device sold for $145, and during Yoshida’s presentation last year he mentioned hopes of getting the device down to the $100 range. At launch, the Ring app will only be available for iOS and Android devices, but the company has plans to release a Windows Phone version. The device blew past its original Kickstarter goal of $250,000 in just its first five days of availability and, as of this writing, Ring had reached about $400,000 in funding, with nearly a full month left for new signups.